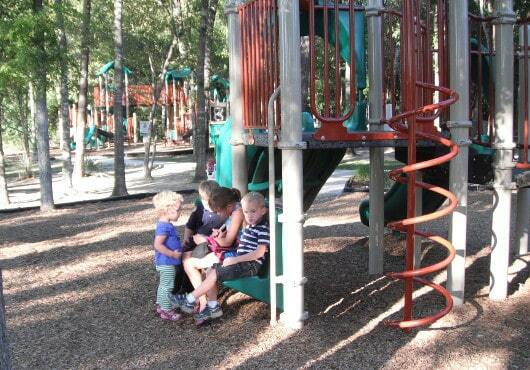 Each week we review a new Houston park. Although most of our reviews are in the middle of the city, this one takes us out to Cypresswood Road in Northwest Houston. 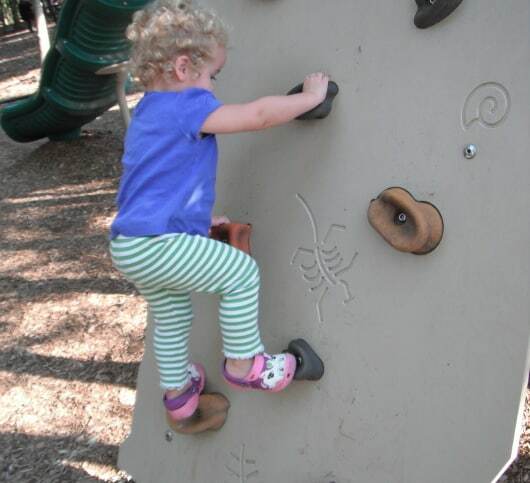 Lakewood Crossing Park is located near grandma’s house and is must-do when we visit. This park is a little forest, sunk down from the busy road. 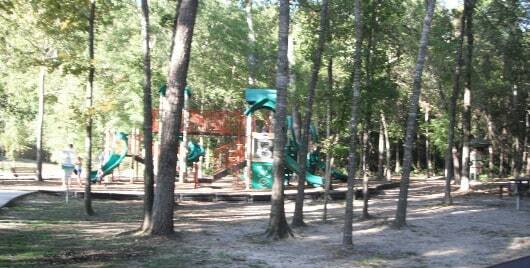 Under tall trees there are trails, a couple play structures, fitness stations and a little skate park. You can see from the pictures of my (extra) little kids, we’ve been going here for years. My city slickers think it is a great outdoor adventure to play under the trees. They run between the larger play structure, to the smaller one, sit on the built-in seats and then run some more. 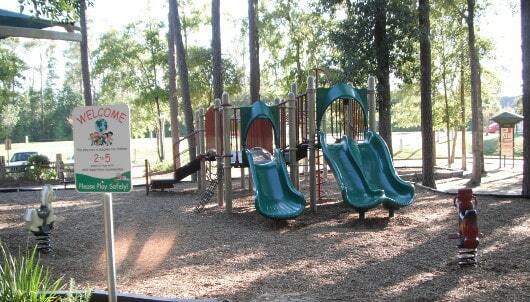 The equipment is new and the park is well maintained. There is unique structers, like the rockwalls and bridges, that make it even more fun to visit. 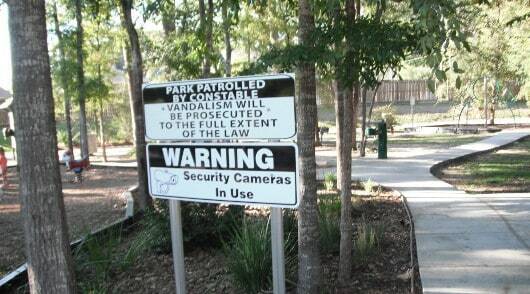 The park is not very visible from the street, and wooded, making me a little worried about security. (You know that I like to be in urban areas with lots of eyes for safety.) I always take another adult with me, but also like the security cameras used to deter crime. I always mention safety in my park posts, so don’t let this comment keep you from the park. It’s really great fun! Have you been? Be sure to tell us about it! Can you metal detect in and around the park?